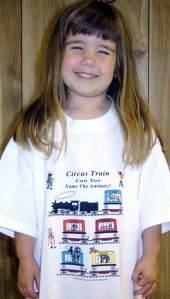 All of these unique and special t-shirts were designed especially for Children and their near universal love of trains. 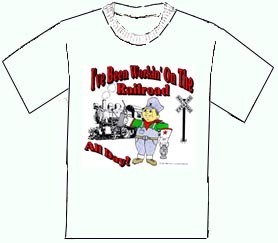 Additional youth tees are available for just about every "real" train design t-shirt. Check each railroad category for many, many more youth designs. 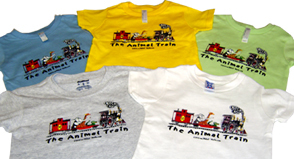 The Animal Train t-shirt for all those train and animal lovers. OUR CHOICE OF COLOR PLEASE. Can't seem to keep all colors in stock for all orders. Youth XS (4/5) and S (6/8) available in Ash/Grey only. 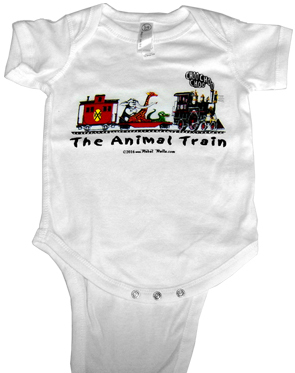 The Animal Train 12 month OneZee tees with snaps for that littlest railfan. Generally fits 6 months, 12 months and some 18 months. 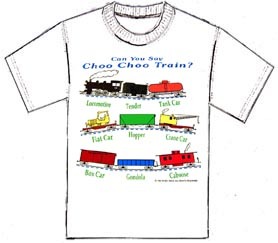 Can you name all the cars on this choo choo train? Caboose, box car, flat car, etc. 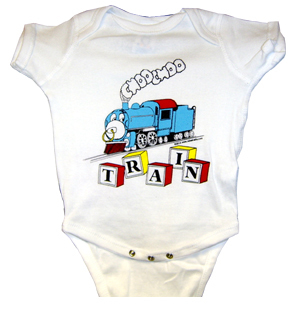 This Choo Choo Blocks T-shirt is available in 12 month OneZee size with snaps, 3T t-shirts; XS 2/4 size and youth S 6/8 t-shirts. 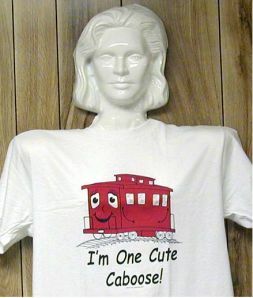 This little t-shirt tells the world that your little darling is One Cute Little Caboose! Grandpa Keeps Me on the Right Track. What a great design for all those special in Grandpas life. 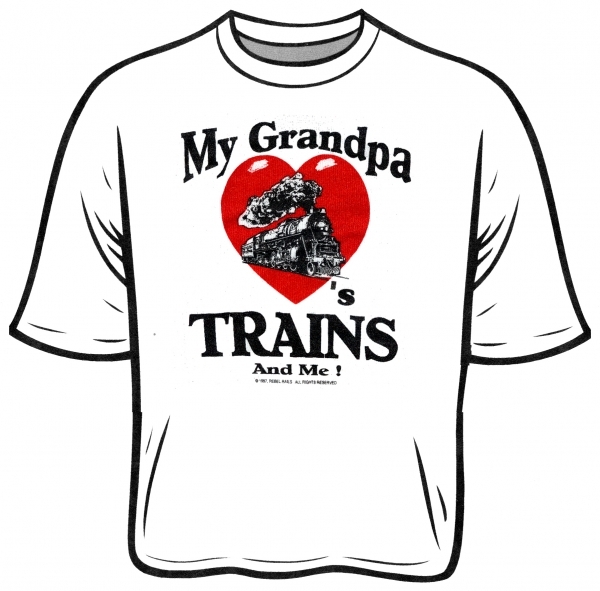 My Grandpa Loves Trains & Me, but of course not in that order! What more can a Grandpa say? 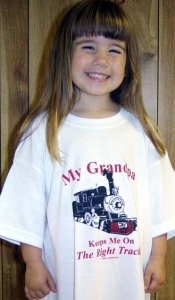 A great little tee for every Grandchild and one of our best sellers. I've Been Workin' on the railroad......all day! What a great little shirt. 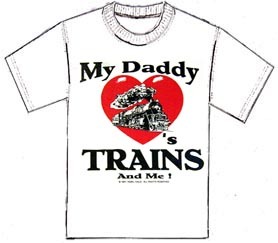 T-shirt My Daddy Loves Trains And Me, nuff said. 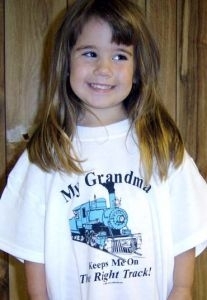 T-shirt My Grandma Keeps Me on the Right Track, and what Grandma doesn't? 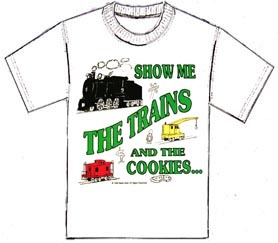 Show me the trains and the cookies.... Like trains but love cookies!